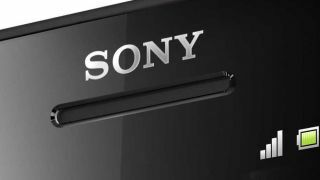 Is Sony finally joining the quad-core party? New superphone specs for the mooted Sony Xperia Odin handset have emerged, promising a quad-core processor and 5-inch Full HD screen. Supposedly on track for an early 2013 reveal, the Odin is said to be coming with a Qualcomm's quad-core S4 processor backed up by 2GB of RAM - Sony previously said quad-core wouldn't be featuring on its phones until 2013 when "performance matches the battery efficiency". The 5-inch screen would put it in competition with the 5.5-inch Samsung Galaxy Note 2, while the 1080p resolution should keep things nice and sharp when coupled with the Sony Mobile Bravia Engine. Previous information gleaned from a leaked User-Agent Profile for the handset suggested 4G connectivity and Android Jelly Bean (Android 4.1.1). Not much else to report on the Sony Odin aside from noting that these specs come from a forum thread so are best taken with the customary pinch of salt. The same thread also threw up talk of a bigger 6-inch device with the same spec sheet; sounds as though it could be an interesting CES 2013 for Sony Mobile. Presumably that 6-inch device will be code-named Borr. You know, because Norse mythology.